Already own the AI version and want PS as well? Already own the PS version and want AI as well? Got PS? AI upgrade is here! Do you haveÂ a trial version? Not yet, but you can watchÂ this demo videoÂ of the Illustrator version andÂ this oneÂ of the Photoshop add-on. Should I pay for future updates? No,Â updates are free. You pay once, and updates are sentÂ automatically. 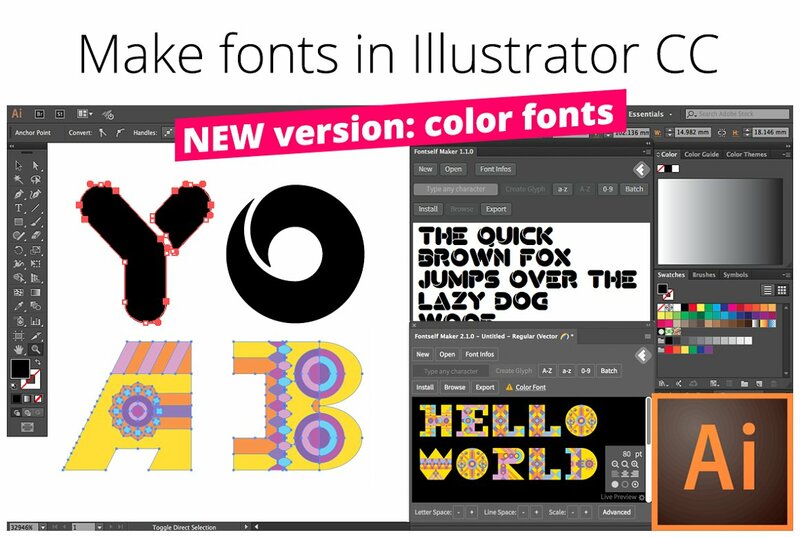 Does Fontself run onÂ CS6 or older? Nope, but itâ€™s optimized for the latest CC versions (CC 2015.3,Â CC 2017, CC 2018 and CCÂ 2019). CanÂ I install Fontself on multiple computers? Your personal license allows you to install the Fontself add-on on 2 devices, such as a desktop & aÂ laptop computer, and as long as you are the sole user of this add-on on both computers. Can I install the extension on a Mac & a PC? Yes, within the maximum limit of 2 devices. 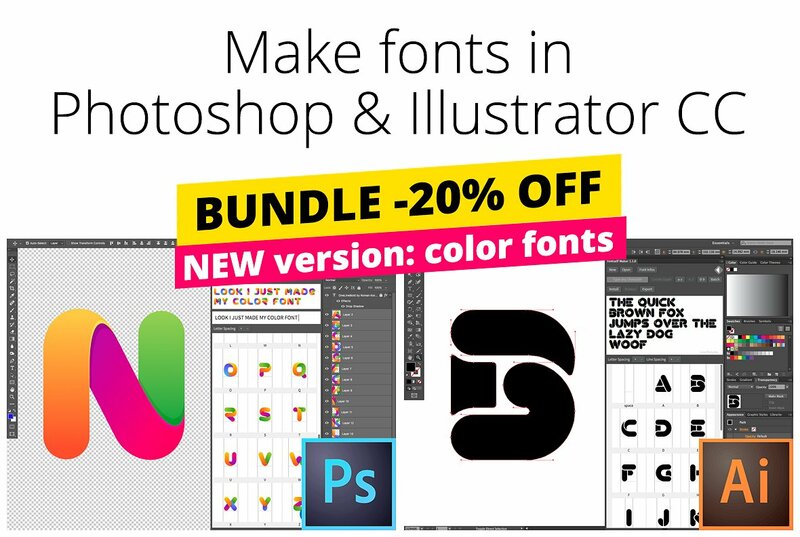 Do you have sample fonts made with this tool? Just checkÂ these user-generated fonts on BehanceÂ orÂ on Creative Market. Where can I learn more about using with Fontself?